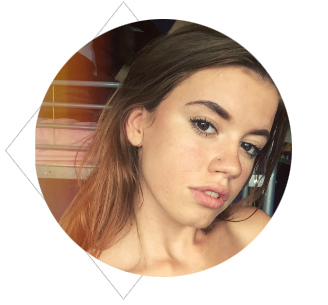 I am feeling veeerry excited today because I'm sharing my first ever MAC product review. Yes, you heard right, until very recently I was... *whispers* a MAC virgin. Personally, and up until recently, I have always been really satisfied with drugstore foundations and their coverages/quality. BUT since moving away to Bristol and starting University, I feel my skin type has changed a lot and drugstore foundations just weren't cutting it for me anymore. I don't know if it was down to my change in lifestyle (obviously I'd been going out and drinking a lot more) but I definitely began to notice my foundation wasn't quite complementing my skin in the same previous way. Even my beloved Bourjois Healthy Mix Foundation wasn't working for me anymore (and trust me, I loooved this foundation - read my previous review on it here). My skin was drying out in patches and the staying power on my skin was getting really bad despite using primer and moisturiser too. So, after obviously reading endless brilliant reviews on MAC and hearing good things from my friends, I took the plunge and went into MAC and ended up walking out with a brand new foundation. 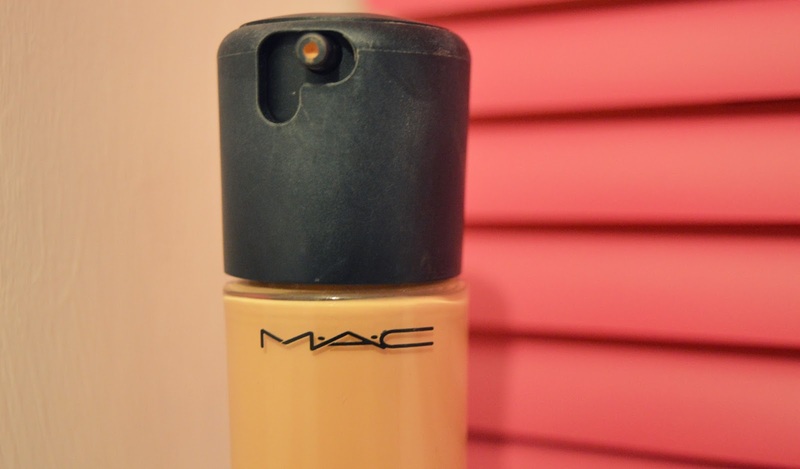 Granted, it wasn't the right foundation at first but still, I officially owned a MAC foundation. To cut a long and pretty annoying story short, the first time I visited MAC I was recommended the completely wrong foundation for my skin type (they gave me a heavy, matte textured foundation (Pro Longwear Foundation) instead of the light moisturising foundation that my skin clearly needed). On top of that, the MAC assistant had also given me the completely wrong shade - it was so pale that I looked washed out and almost unwell but I was still somehow tempted by the deceiving MAC lights, meaning that I spent £25 on a foundation that I felt was worse than one I could pick up from Boots for a tenner. Luckily, this is the only bad thing I have to say about my MAC experience. I was given a tester of the foundation (thank goodness I didn't break the seal on the wrong foundation! ), and used this for two days until I realised that it clearly wasn't right for my skin/complexion. I went back to MAC, explained the situation and a different assistant apologised and corrected my purchase. This time I purchased the Matchmaster SPF 15 Foundation in shade 1.5, which is now my holy grail. I'd say I have a warm skin tone, and 1.5 is the perfect shade with an olivey touch and warm undertones. I have always been very weary of what I put on my skin because (so far) it has always been good, and I haven't suffered with many skin issues (apart from occasional dryness). Despite the great reviews, I'd also read reviews of people experiencing crazy break-outs after using MAC foundations and experiencing other negative effects such as acne break out and rashes. This put me off for a very long time - I was worried my own skin would launch into it's own little city of spots. Deciding to give MAC the benefit of the doubt, however, it turns out I had nothing to be worried about and I'd actually made a pretty good decision (well done Am', doesn't happen often!) Obviously I can't say that all MAC foundations won't make your skin break out, but if you've been reading the bad reviews that are plastered all over the internet, I would recommend to just try it out for yourself. And if it makes you break out, bin that sh*t. At least you tried. This foundation was a little more expensive than the others (£28.00) but I personally do think it's worth it, despite sometimes being hard to justify. The foundation is light and feels gentle, silky and smooth when applied to the skin. I don't like wearing thick layers of foundation or anything that is too heavy so I feel this is perfect for me - it gives me the exact coverage that I need but leaves a dewy, fresh look which I love. If you are looking for a matte finish, this foundation is definitely not for you - the dewy, silky look can look a little shiny and in my opinion would not sit well on people with oily skin. The foundation has an SPF of 15 which is perfect because I'm useless at working sun cream into my daily routine and it's just another thing I get a bit lazy about. I've been using this foundation for around two weeks now and, unbelievably, feel like my skin has got even better since I started using it. It appears clearer and has more of a glow - even Oscar noticed how great my skin has been looking with and without makeup! The foundation leaves a very light, sheer finish on your skin which is perfect for me - heavy, thick foundations that clog up your skin are my enemy. If you have dry skin and are looking for a foundation with good coverage, but that is not too heavy or matte then I would really recommend this foundation. The only downside to splurging in a gorgeous MAC foundation is that it is difficult to then return to using other high street beauty brand products such as powders and bronzers, as all the different MAC makeup products compliment each other (I was told this by the assistant). I do find that sometimes my drugstore Rimmel Stay Matte powder doesn't sit exactly right on the foundation, and so am saving up my pennies to indulge in a new MAC one (keep your eyes peeled for that review). Overall I would say that this foundation is definitely worth saving up your pennies for. 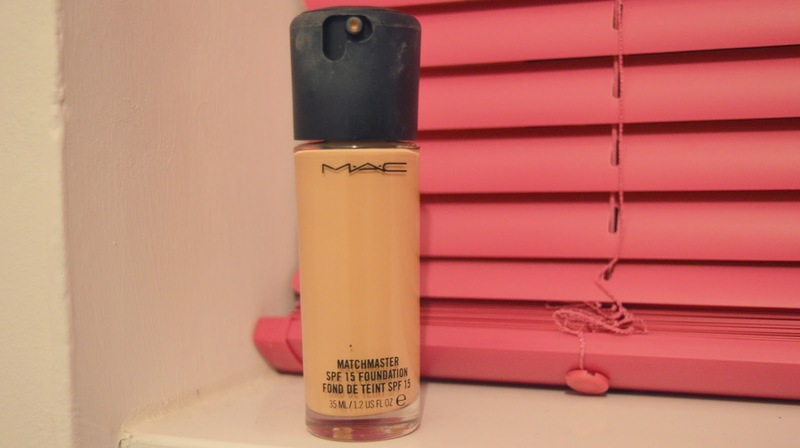 Although very expensive, it does give super good coverage and is definitely above any high street foundation I have tried before. I have been completely converted! Have you tried any MAC foundations? 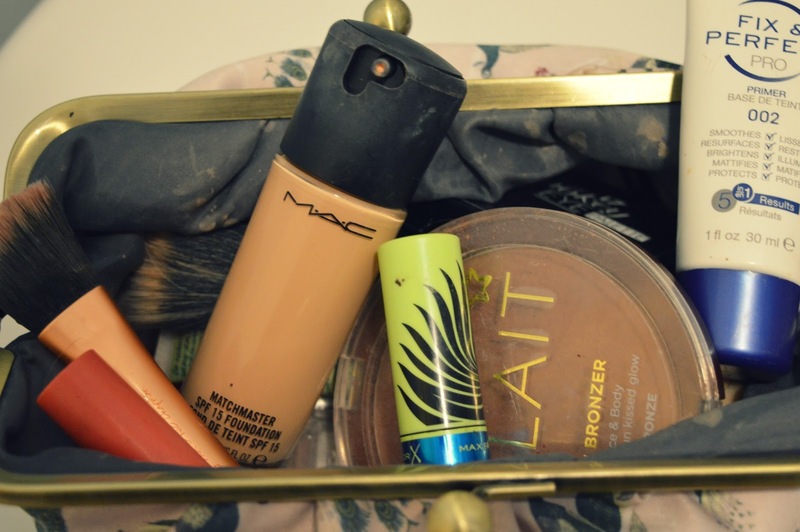 Some mac products I find break me out but I am always on the hunt for a good foundation. Me too, bit of poor service to begin with but got there in the end! I haven't tried this foundation but i have another mac foundation and it causes me to break out. I hope that doesn't happen with this one. So far this foundation has been really good for my skin, but I've heard lots about people breaking out after using MAC foundations. Glad you found a foundation that works for you. I've never used one in my life, so I don't have a favourite. It is so hard to find one! I love mac foundation but they don't make it pale enough for me. That's a shame, 1.0 is very pale so it might be worth giving that shade a try. I never use MAC products, preferring Bobbi Brown stuff, but this seems to working pretty well for you. I'm really not a fan of MAC foundations, I feel like they don't really do foundations for really vampy pale people like me ha! Glad this one works for you though! I love the Studio Fix and the Pro Longwear foundation, so im sure ill love this one too! Its been on my wishlist for sooo long, i must pick it up soon!